Hall-Dale boys challenge powerhouse Lisbon en route to second place. 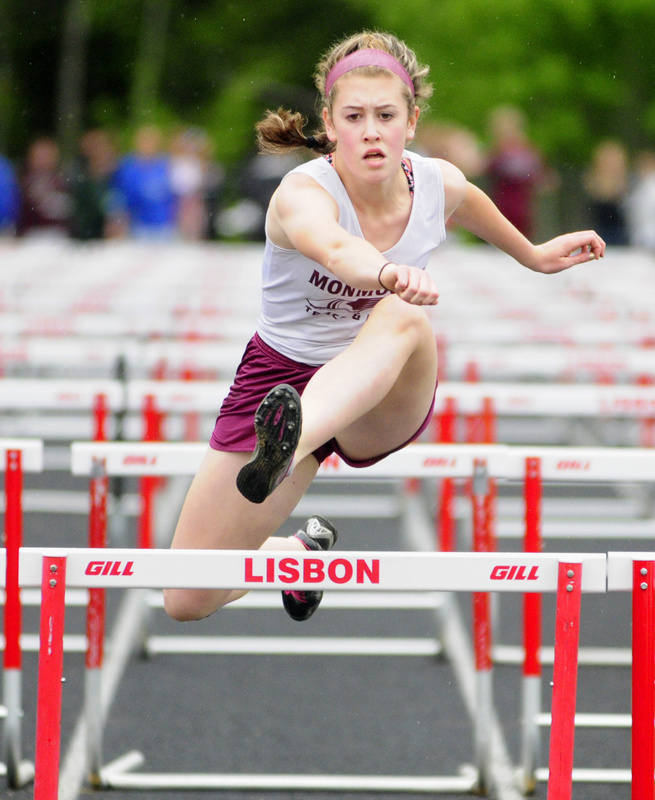 LISBON — The Monmouth Academy girls track and field team made a mistake last season. 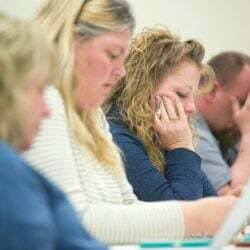 The Mustangs were the favorites going into the Mountain Valley Championships, and they let themselves know it. So this time, coach Tom Menendez made sure his team’s focus was where it needed to be. The message couldn’t have been received more clearly. 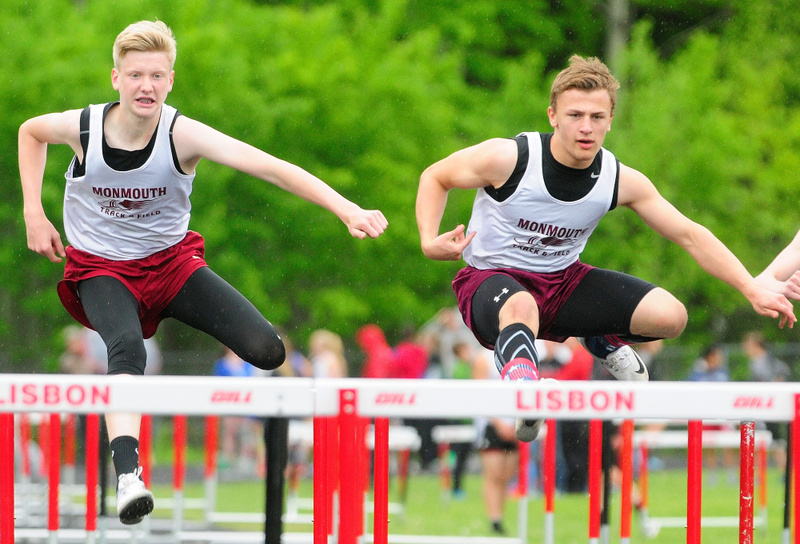 Monmouth rolled in the championships at Lisbon High School, winning six events en route to 164.5 points and a second title in three years, beating a field led by Lisbon (99), Winthrop (73), Wiscasset (62) and Boothbay (46). Other locals included Hall-Dale (eighth, 33), Richmond (ninth, 28), Mt. Abram (10th, 27) and Madison (12th, five). 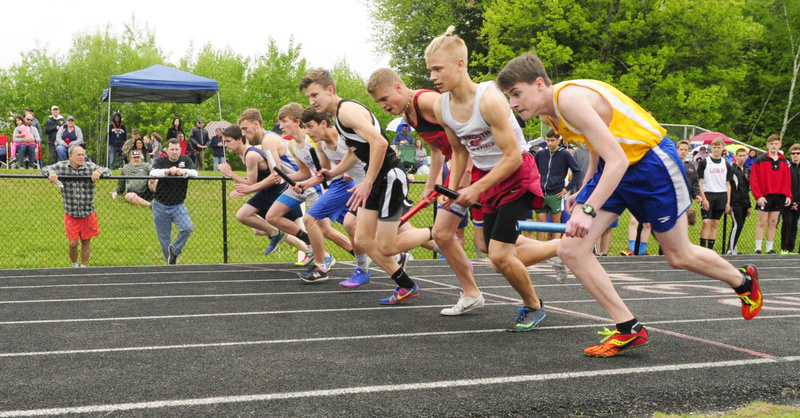 The Hall-Dale boys, led by the meet’s top athlete Jon Whitcomb, who tied a 32-year-old meet record in the high jump, threatened Lisbon’s streak of 11 straight titles before falling, 119-105. 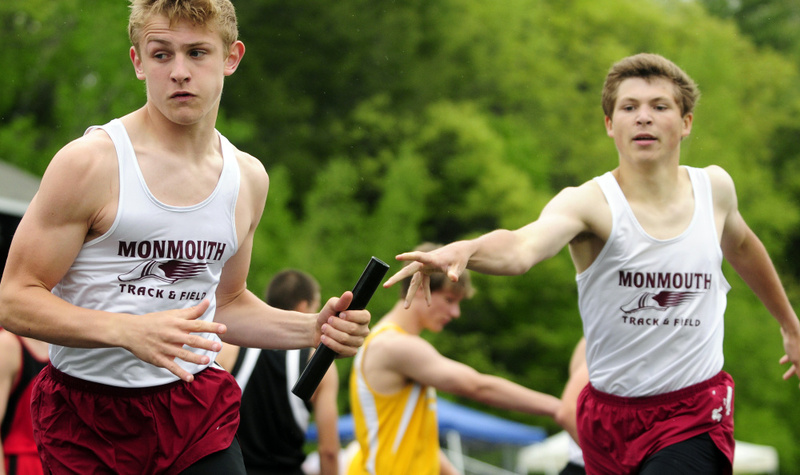 Mountain Valley (85) was third, Boothbay (77) was fourth and Dirigo (55) was fifth. 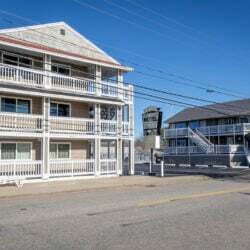 Other locals included Monmouth (eighth, 35), Winthrop (ninth, 30), Mt. 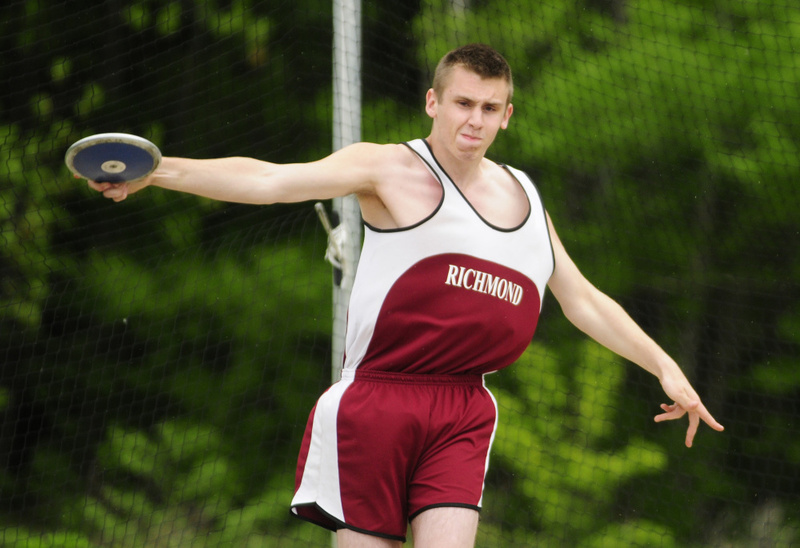 Abram (10th, 29), Madison (11th, 12), Carrabec (12th, nine) and Richmond (13th, four). The Monmouth girls made it look easy. The Mustangs were led by Kaitlyn Hunt, who tied for the meet’s top female athlete distinction with wins in the 1,600 (5:54.72) and 3,200 (13:04.02) meters. 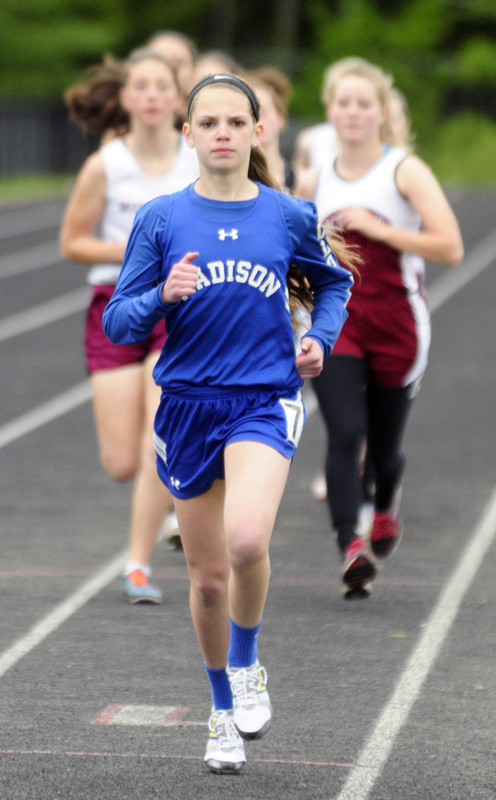 Hunt tried to keep pace with Richmond’s Destiny Anair, who was second in the 1,600 and third in the 3,200, throughout both events, and edged her by less than a second in the mile. 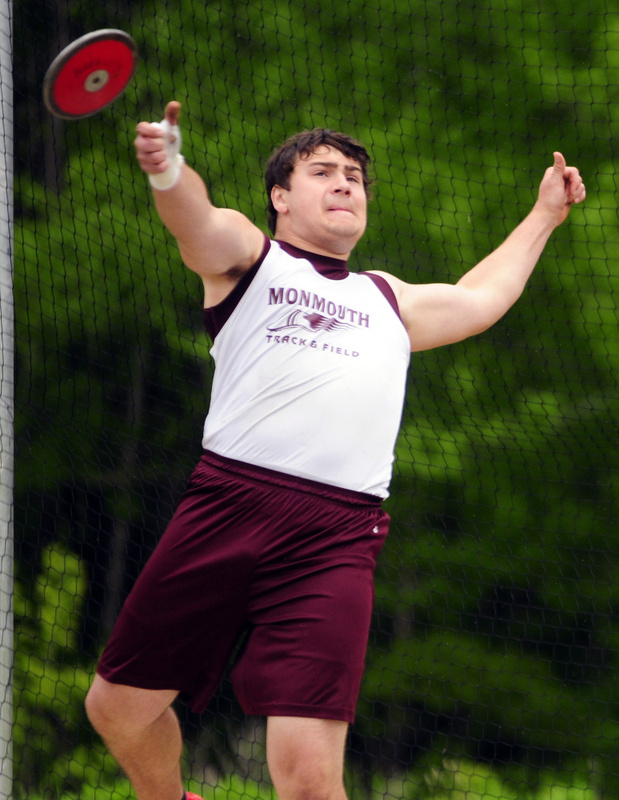 Monmouth also thrived in the field events, most notably in javelin, taking each of the top four places. Maddie Amero led a group including Destiny Clough, Hayden and Abby Allen, with her throw of 106-7 giving her first place comfortably ahead of Clough’s 90-1. Hayden got her turn in first place in the discus with a throw of 92-1. 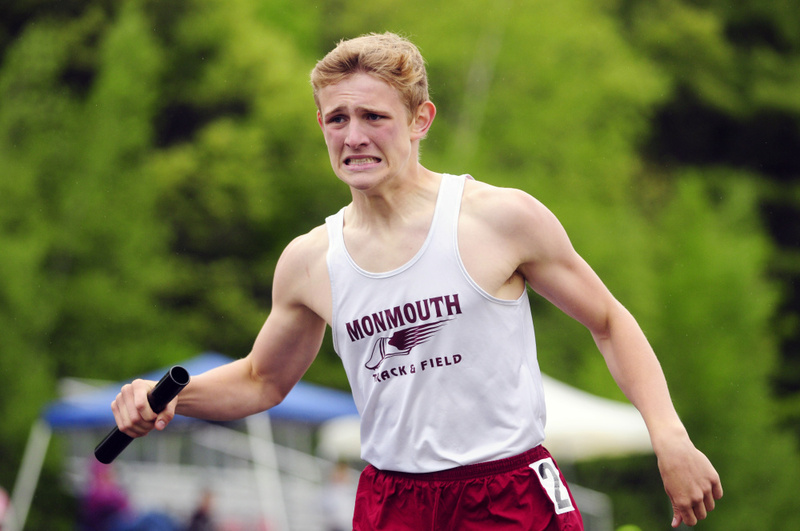 Monmouth also got a win out of the 4×800 relay — with Hunt contributing to that effort as well — and a victory from Libby Clement, who took the 300 hurdles at 49.61 even after a close call with a false start. 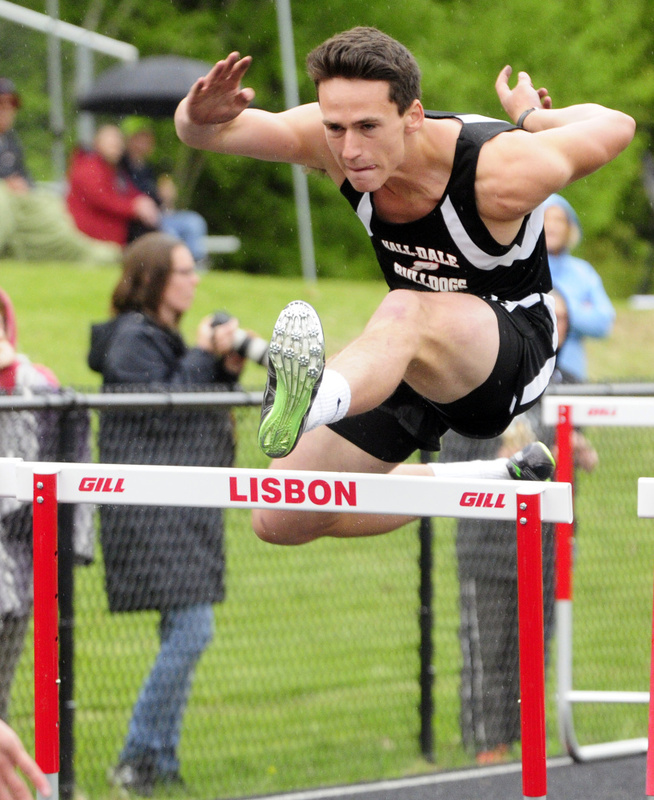 Hall-Dale’s pursuit of its first MVC boys title included perhaps the meet’s signature moment. Whitcomb was already at a personal best and school record mark of 6-3 in the high jump when he hit the bar on his first two tries at 6-4. 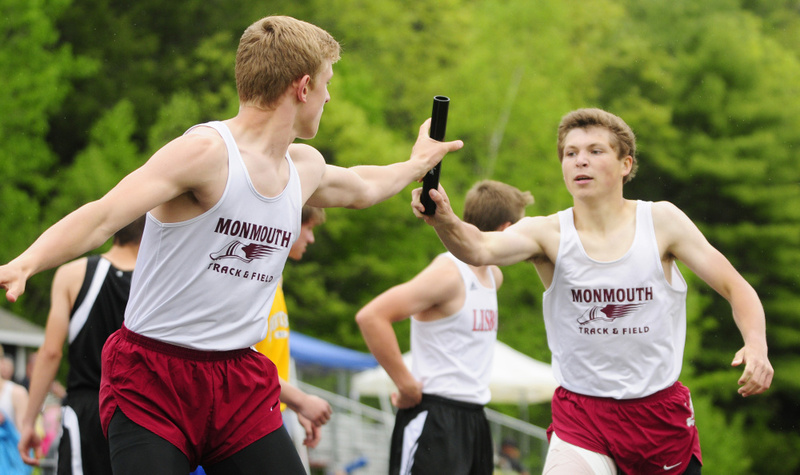 A large crowd had gathered by the area, and the senior got the onlookers to start clapping in unison before clearing the bar, tying a meet record that had stood since 1985 and setting off a celebration with Whitcomb and his teammates. 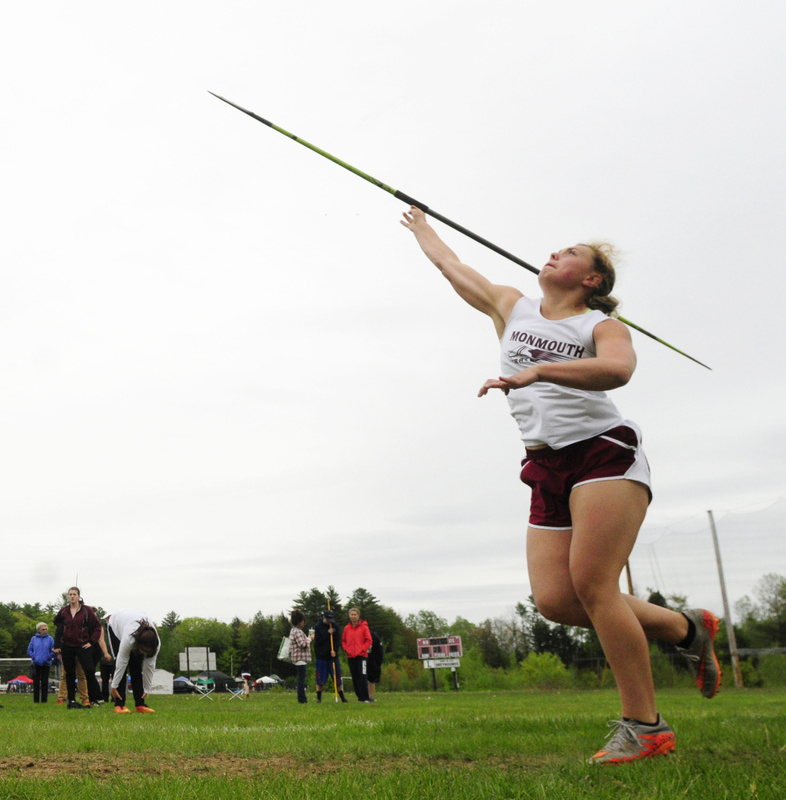 The Bulldogs, who beat Lisbon at the Capital City Classic at Cony last week, were also helped by a bevy of top-three finishes, including from Owen Bean (second 800), Ashtyn Abbott (third high jump), John Longfellow (third shot put) and Matt Albert, who overcame low seedings to finish second in the javelin and fourth in the pole vault. 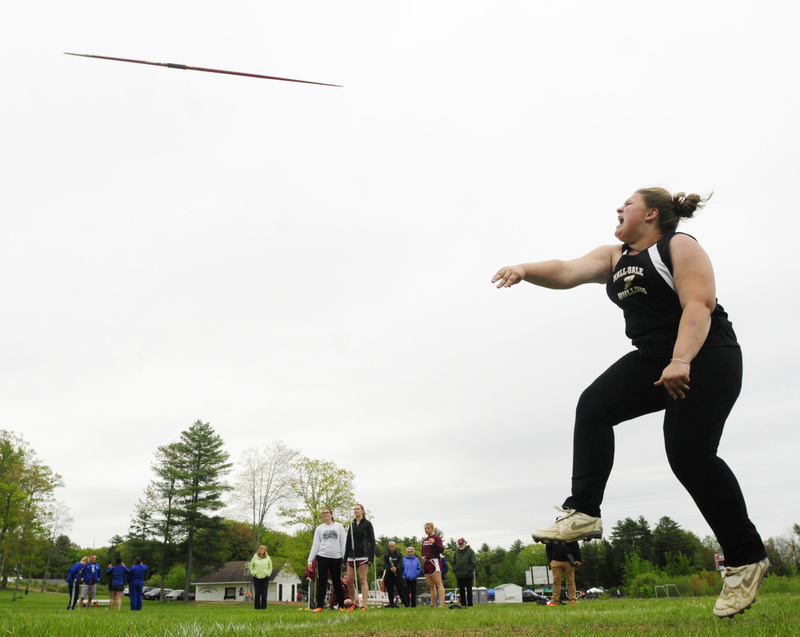 Hall-Dale also got a win on the girls side from Sabrina Freeman, who took the pole vault at 7 feet. 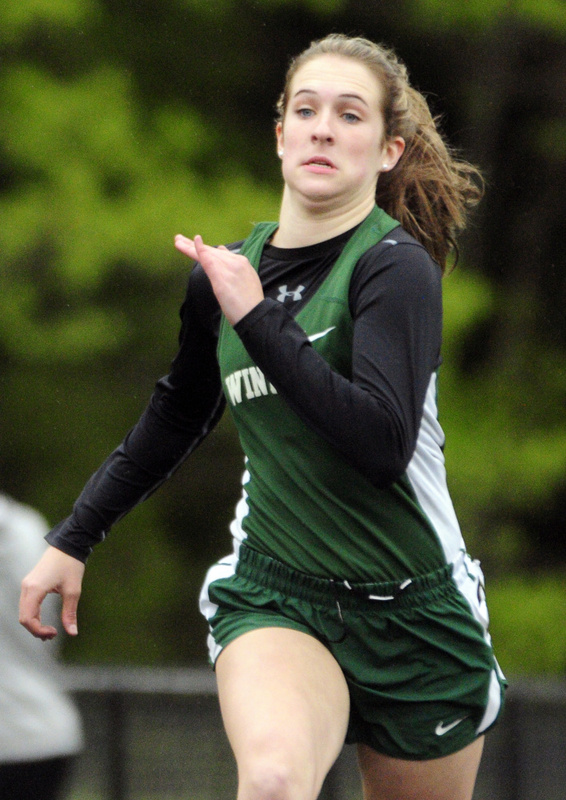 The Winthrop girls were led by a win in the 400 from Kinli DiBiase (1:03.83), while Jilian Schmelzer turned in a second-place finish in the 100 for the Ramblers, Maya Deming was second in the 3,200 and Aaliyah Wilson-Falcone was third in the long jump. 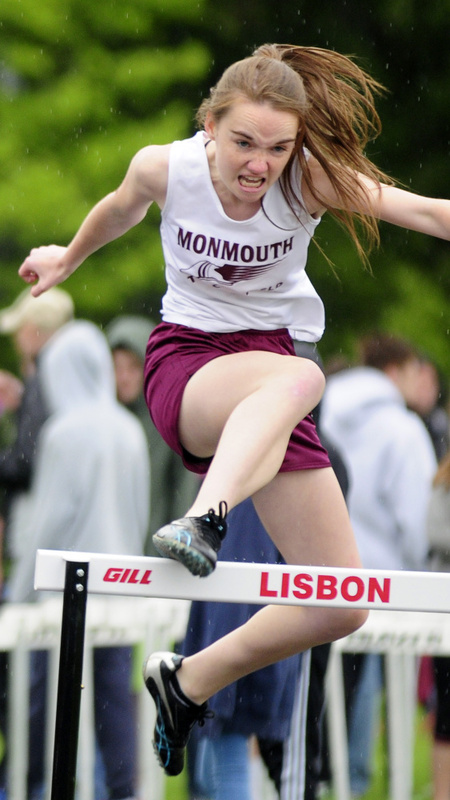 On the girls side, top-three finishes also went to Tori Spencer and Moira Burgess, who were second and third for Monmouth in the 1,600 race walk, Monmouth’s Emily Grandahl (third 300 hurdles, second triple jump), Mt. 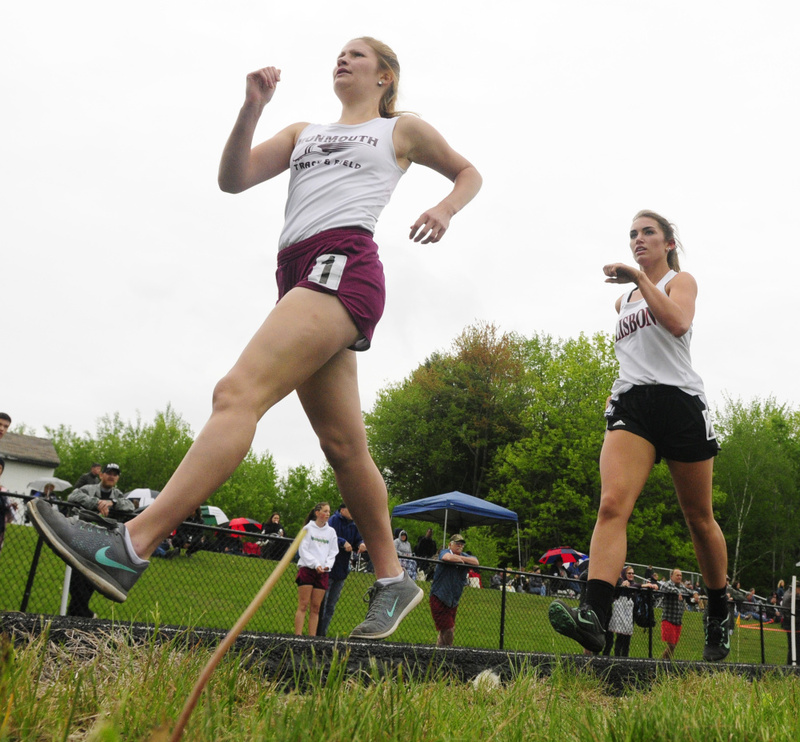 Abram’s Alice Cockerham (third 100), Avery Taylor (third high jump) and Risa Marble (third discus) and Hall-Dale’s Julia Stahlnecker (second shot put) and Isabella Cowing (third 1,600). On the boys side, top-three finishes went to Mt. 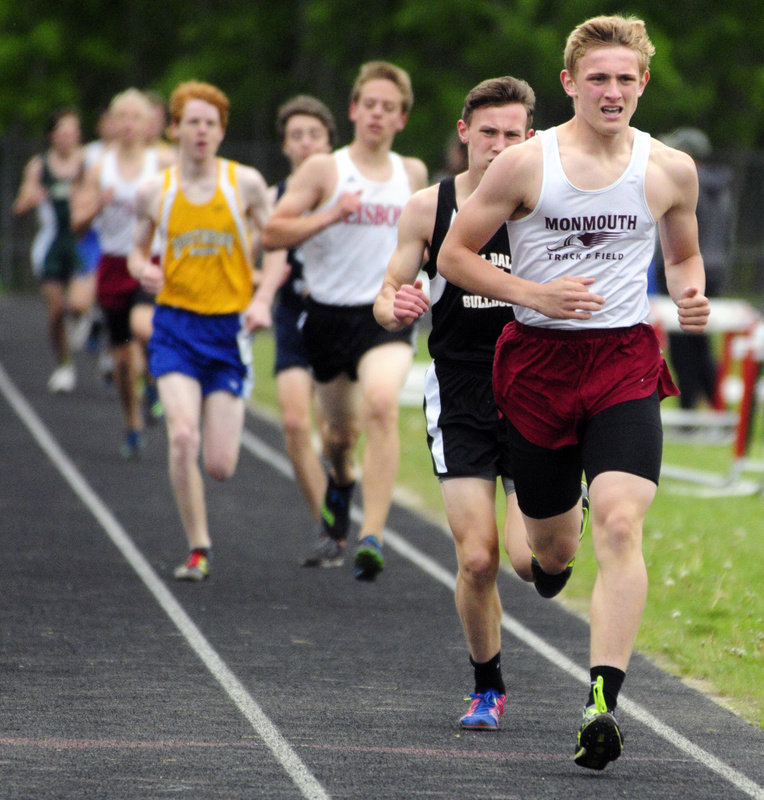 Abram’s Xavier Romanoski (second 1,600 and 3,200), Monmouth’s Zack Wallace (second shot put), Madison’s Darrin Libby (third 100), Winthrop’s Scottie Dunn (third 300 hurdles) and Carrabec’s Paul Kaplan (third discus).